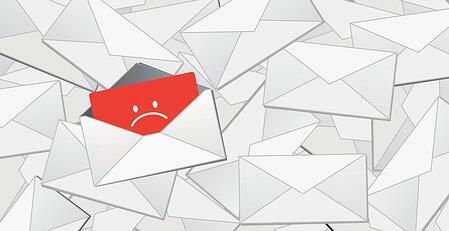 There’s a lot of talk about the death of email as a marketing or sales tool. Everywhere I go, I hear people talking about how no one reads emails anymore, that there’s too much noise and that marketers/salespeople must give it up and find other tactics to succeed. From my perspective, however, I think the death of email is much like the announcement of Mark Twain’s death...greatly exaggerated. Email is still a very important tool in the demand generation toolkit. While it is true that email trends are not good for most organizations, that does not mean that email is dead (or even near dead), or that preparation for its ending should be high on your list. What it means is that you have to up your game. Frankly, the primary reason that emails are losing their effectiveness for most organizations is because they’re too easy (and inexpensive) to use. The plethora of email marketing automation options has been joined by an explosion of email sales automation tools. While these tools make it much easier to send out exponentially more emails, it also means that more time and effort - not less - needs to be invested to make them successful. Your subject line is the single most important part of your email. If you’re not getting the results you want from emailing - whether it’s your marketing nurture, sales cadence, or one-off sales emails - the first place to check (and test) are the subject lines you’re using. Concise: all things being equal, shorter titles are better, but shorter is not always better. Good subject lines are concise, meaning they use the number of words that are needed - no more and no less. Action-oriented: Your subject line needs to move people to action (like opening the email). Actionable subject lines create more meaning and a sense of urgency. Engaging: Your subject line needs to connect with the recipient. Great subject lines get noticed subconsciously, even in the most crowded inboxes. Marketers need to kill the “email blast mindset.” Far too many emails are built with a one-size-fits-all approach. Effective emails fit into and create context. An effective email strategy is built upon a strong segmentation strategy, one that allows you to create multiple cohorts with which you can deliver contextualized content to the receiver. Strong emails are like good dates - the content is focused more on the other person. Stop blasting out boring announcements and “we-do’s,” and start delivering emails that matter to the recipient. Years ago I shared that the definition of value is doing something that someone is willing to pay more for. Applying that principle to your emails means that an effective email is one that the receiver would have been willing to pay to receive. Your emails need to teach, challenge and/or share something valuable. Maybe it’s highlighting a crucial problem that can be solved, sharing a new approach or providing valuable insights on a topic that matters. Before sending your next email, ask yourself how you would react to it if you were the receiver. Far too many emails focus on selling when they should be focused on something earlier in the process. One reason it is crucial to map the buyer’s journey is to ensure you’re sending the right message and asking for the right action at the right time. Spend a little more time on your emails (and be sure you’re not making one of these mistakes) and you’ll see your open rates, click-throughs and action all trend up meaningfully.